The Task manager in windows is definitely one of the first thing we always take a look at when it comes to troubleshooting problems on a computer and at the same time it even allows you monitor the resources used by various processes on your windows computer. While the task manager in windows is just limited to show the details on the CPU and memory usage of all the processes, but if you want more detailed information then the windows Resource monitor is what you should be looking at. The resource monitor provides you a detailed information on the hardware resources used by various process on your windows computer and even manage them. Task manager is only limited to show details on various processes, but the resource monitor on the other hand provides you detailed information on the CPU, Disk, Memory and Network usage by various processes. 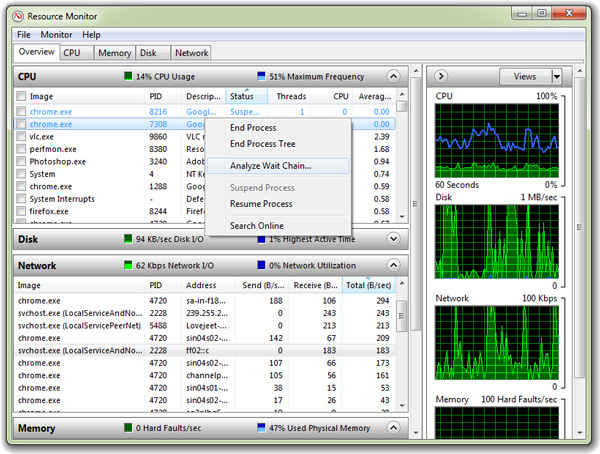 For me the Resource monitor is a great tool for monitoring the resource usage on my windows computer. 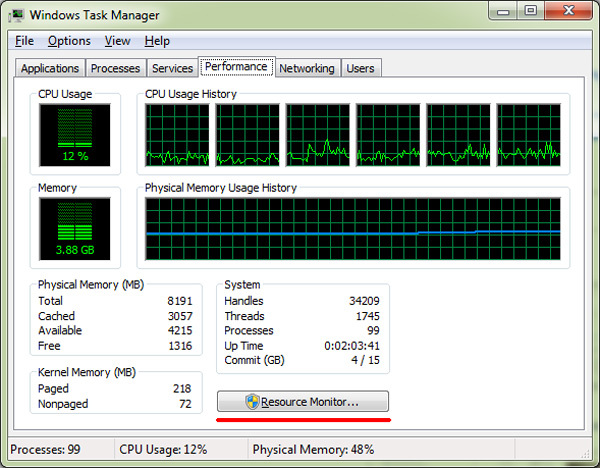 Here is what you can do using the built in Resource monitor in windows. 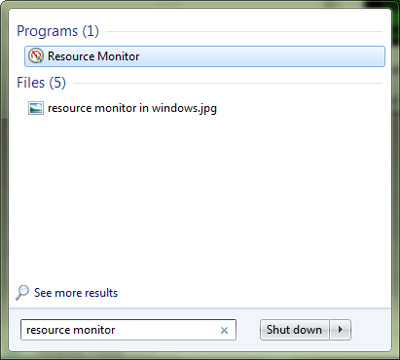 You can even click on the Start button in windows and search “resource monitor” in the search bar to easily access the resource monitor. If you suspect any of the process to be causing trouble, you can right click on the process and click on Analyze wait chain to find out where the problem lies. Then you can simply end the process responsible without having to terminate the whole process.